We offer the best privately owned crewed yachts and bareboats for Mexico yacht charters in this fascinating and unique part of the world. The most interesting and different Mexican yachting destinations are in Baja California and the Sea of Cortes. As a Baja yacht charter unfolds, the desert and craggy rocks, white sandy beaches, towering cardón cactuses, and occasional long-nosed leopard lizard ashore juxtaposed against a brilliant turquoise inland sea give a distinctly otherworldly character to the sailing experience. The isolated nature of the region makes it a flourishing breeding ground for California gray whales, which migrate to Baja from the Bering Sea in winter. California sea lions are also a common sight. The exquisite beaches for swimming and snorkeling, the deserted islands to explore, and the abundance of wildlife in a remote, unspoiled natural setting makes a Baja sailing vacation a magical adventure for the entire family. 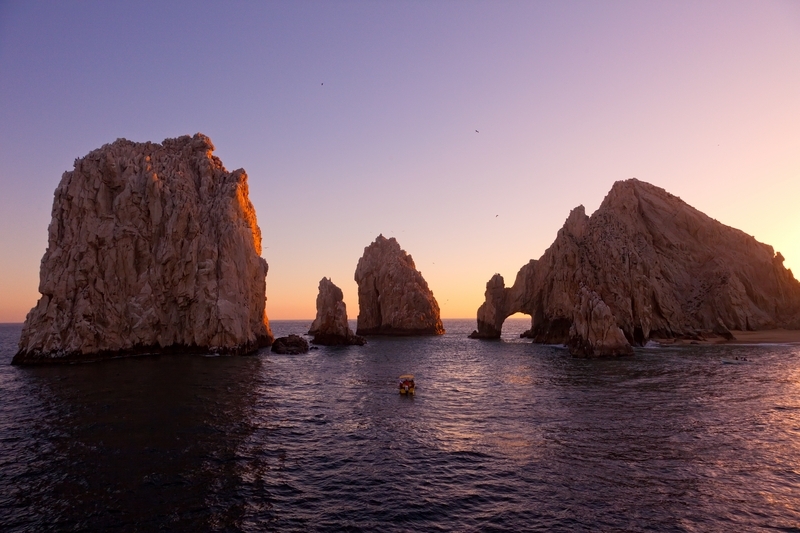 Mexico yacht charters typically run southward from Mexicali just under 800 miles to the tip of Cabo San Lucas, comprising the Mexican states of Baja California to the north, and Baja California Sur to the south. Officially, the waters on the east side of the world’s third largest peninsula are known as the Gulf of California, but most people refer to them as the Sea of Cortez. An impressive mountain range rises from Baja. The peak of San Pedro Martir is more than 10,000 feet above sea level. A Baja California yacht charter focuses on the superlative sailing, scenic and secluded anchorages, and exploring deserted islands rugged in their remote desert beauty. The fantastic snorkeling and scuba diving in some of the clearest water anywhere is still another delight to savor. The Sea of Cortez receives as many as 340 days of sunlight every year, its depths exceed two miles in some places, and the currents moving within it carry a rich cargo of plankton throughout the ecosystem, supporting California sea lions, sea rays, dolphins, and more than 500 species of tropical fish. Twelve species of whales (including the blue whale, the largest animal on Earth) breed in these waters. Few other places on the planet are as biologically diverse and unique. Add the Old World charm of sightseeing in La Paz and a Baja sailing vacation is an adventure that will inspire fond memories for years to come. We also offer bareboat charters from The Moorings. A Baja yacht charter is relatively easy. Passages are short, the waters generally clear of hazards, and the anchorages secure with good holding in sand. Basic navigational skills are all that’s required. The winds are usually steady from the northwest at 10 to 15 knots in winter, though they can be stronger when a northerly frontal system blows through. In summer, the winds shift to the southeast and weaken. The exception is when the Coromuel winds blow from the southwest at night from early spring through late fall, creating a pleasant cool breeze. The average daytime temperature in the summer is 95°F (35°C). Temperatures during the rest of the year range from 70°F to 85°F (21°C to 29°C). In the winter months, it can get chilly at night. Expect sunshine most of the time, roughly 300 to 340 days per year. The tide ranges from two to six feet. Currents can be strong in narrow passages, but generally are not an issue. If you have any questions about our Mexico Yacht Charter offerings call us at (877) 759-8263 or contact us by email today.